Killed on August 9, 2016 Jesse Romero was visiting his friends at the apartment complex in Boyle Heights. Someone inside of the apartment complex called 911 saying Romero and another teen were potentially smoking marijuana and graffitiing. The officers were wearing body cameras. Investigators are still reviewing videos, which will be compared with other evidence, including witness and officer statements. Police had initially identified the suspect as a man in his 20s. 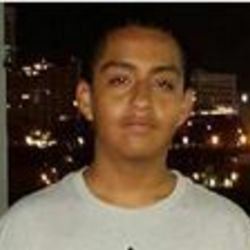 On Wednesday, Mario Sainz, an investigator with the coroner’s office, identified him as a 14-year-old. August 2016 Story changed from reached for a gun to shot at police. On March 5, 2018, Los Angeles County prosecutors announced that officers would not be charged in the case. They outlined their reasoning in an 11-page memo made public Monday, saying Officer Eden Medina reasonably believed the teenager posed a deadly threat and used "reasonable force" to defend himself and others. In November 2018, after a 6-day civil rights violations trial, a jury determined sided with the officers. Early in the preceding, a judge ruled to exclude key evidence from the proceedings.